Penguins center Evgeni Malkin returned to Pittsburgh for further evaluation of an injury suffered in the second period of the Pens’ 3-2 win in Columbus on Friday night. “We’ll have more information probably later on tonight or (Sunday) morning,” head coach Mike Sullivan said. Malkin collided with Dalton Prout behind the Blue Jackets net and skated to the bench in obvious discomfort. Malkin went immediately to the locker room. He returned to the bench and skated one shift. However, after that he went back to the locker room and did not return for the rest of the game. Scott Wilson was also hurt Friday night when he fell awkwardly into the boards in the third period. Wilson did return to the bench late in the game, but the coaching staff chose to keep him off the ice. 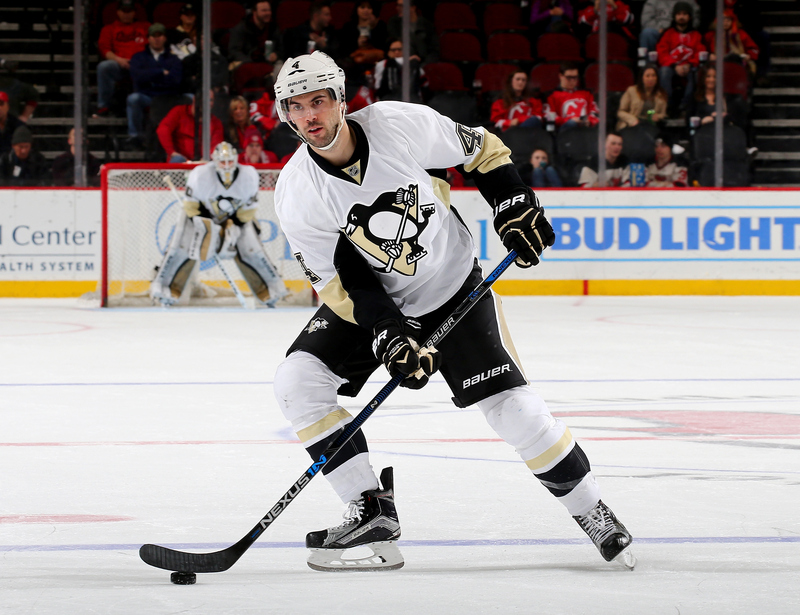 Wilson will be a game-time decision for the Pens’ Sunday afternoon contest in New York against the Rangers. “We’ll see how he responds to the treatment,” Sullivan said. Malkin and Wilson were the only two absent players from the team’s Saturday afternoon practice. The Pens held a wake up-and-go practice. They stayed Friday night in Columbus. The team boarded an early flight Saturday morning to New York, got off the plane, on the bus and headed straight to the practice rink. With Malkin out for now, it appears that center Nick Bonino will get the bump up in the lineup. He was elevated in Malkin’s spot between Carl Hagelin and Phil Kessel. 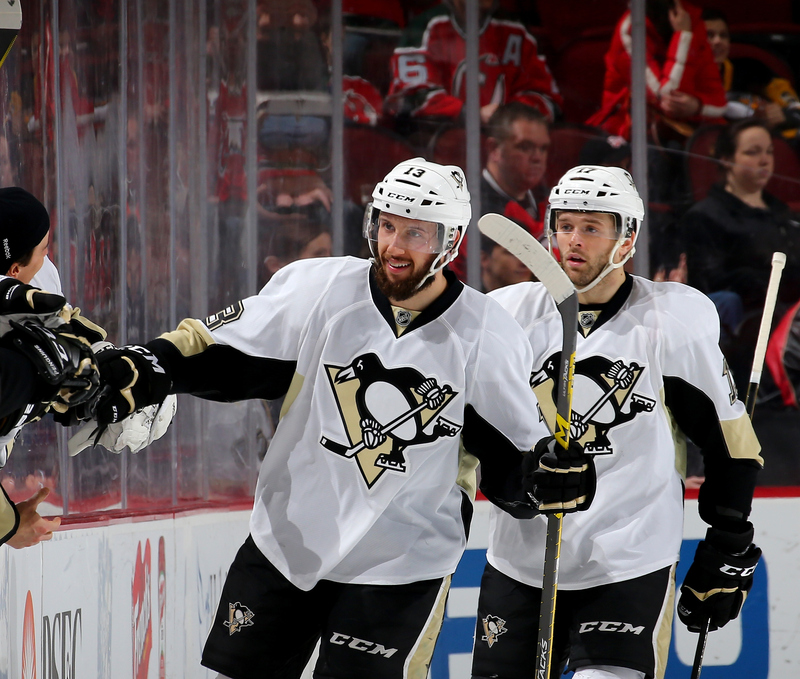 “They’re really fast guys with a lot of speed,” Bonino said. “The focus for me is playing well in our end, getting the puck up to them and let them skate with it and make some plays. Defenseman Justin Schultz worked the past few years on the top power-play unit of the Edmonton Oilers. Now he will get a look on the Pens’ top PP unit with Kris Letang, Sidney Crosby, Chris Kunitz and Patric Hornqivst. Sullivan has liked what he’s seen from Schultz so far and expects to see him more often working on the man-advantage. “Justin is a good passer. He has good offensive instincts. He can shoot the puck,” Sullivan said. “He can help us on the power play, depending on where we put him. He can help us in a lot of areas. He’s helping us come out of our end zone on the breakouts. He sees the ice pretty well. In all of those areas, he can help us win. Eric Fehr has played at both wing and center this season for the Pens, mostly in recourse to injuries or team needs. That flexibility has been a huge asset to the team, and he was called upon to do it again against the Blue Jackets. Fehr, who began Friday’s game in Columbus at wing after missing the previous 17 games with a lower-body injury, was moved back to center following the loss of Malkin. Sullivan on if he looks at the 9-game Metro stretch as a mini-playoff sequence.